Even though it is March 9th, I’m staring at several feet of snow which means that it is still sweater season. In New England, our sweater season started in October and that makes March the official start of our sixth month wearing wool. I’m finding it challenging to come up with different ways I can style the same collection of sweaters for this many months in a row and it is feeling monotonous. This is further compounded by the fact that I wear mostly muted colors in the winter and every morning when I open my closet doors I see nothing but a blur of taupe. I’m definitely craving some pops of color to add interest to my sweaters and while I love bright colored sweaters, I can’t get away with them when I don’t have an ounce of color on my skin. 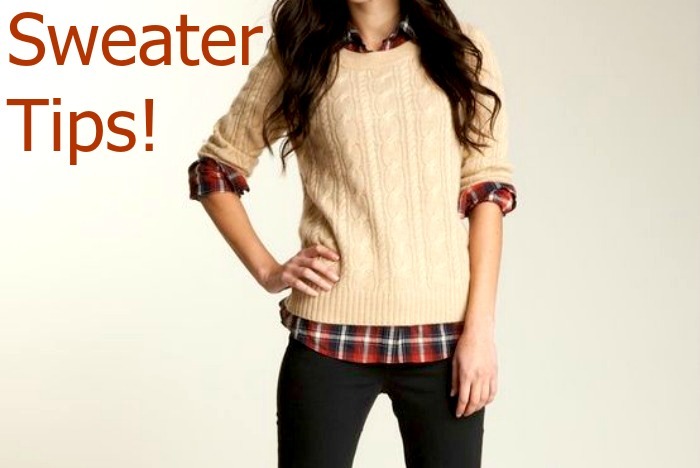 I came across this ingenious tip that shows you how to pair colorful button down shirts with sweaters and it is exactly what I was looking for to help me through this last bit of cold weather (before its time to pack my sweaters away). If you are feeling the same way about your winter wardrobe I thought you might get some inspiration from it too. 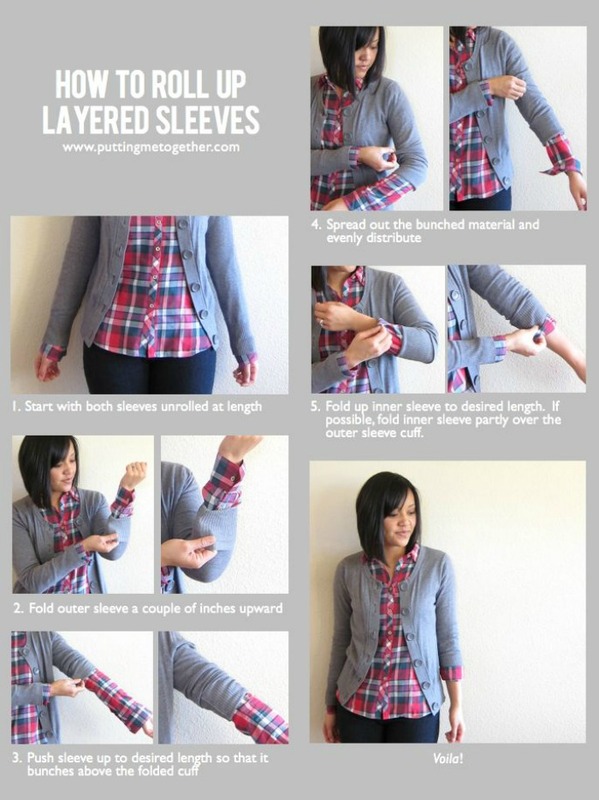 I’ve also included step-by-step instructions for that perfect rolled up sleeve for when you are layering shirts and sweaters.